Figure 87. Steamship CLIO, of Odessa, Delaware. New Jersey: Life, ca. 1900. 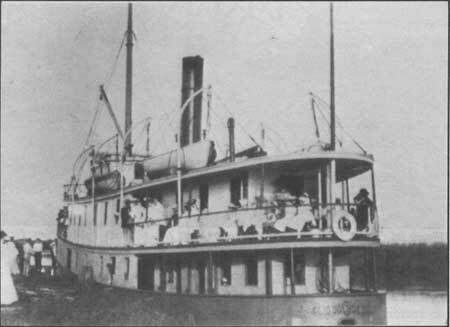 The Maurice River Steamboat Company operated the THOMAS SALMOND which, like the Cohansey River steamers, offered excursions from its home port to Philadelphia. Before steamers reached this far up the Cohansey and Maurice rivers, stages via turnpikes carried travelers from Bridgeton and other interior towns to Salem to pick up the steamboat. Salem's steamboat landing was located at the end of West Broadway at Salem Creek, where it shared a dock with a canning works and shipyard. As railroads grew prominent in the South Jersey region during the late nineteenth century, the use of steamboats declined. Figure 88. "Map of Rail Roads of New Jersey, (1871)." 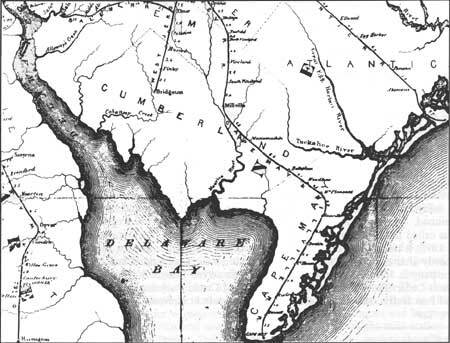 The railroad introduced great industrial changes: In South Jersey, produce and shellfish were shipped to market faster, and glass with less breakage. Figure 89. Pennsylvania-Reading Seashore Railroad Millville Station (ca. 1879). 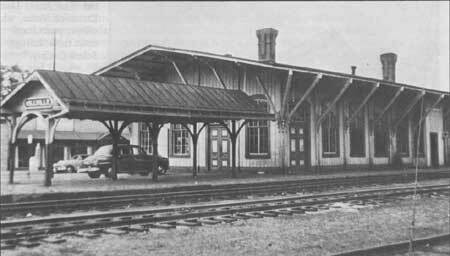 This depot with deep, braced eaves and large windows was at Broad and High streets. Wettstein, 1958. Figure 90. 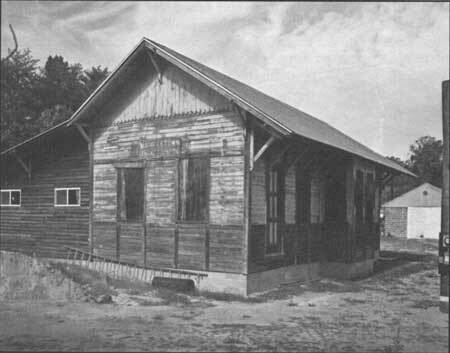 Cumberland & Maurice Railroad Co. Mauricetown Freight Station (late 19th century). Small with decorative Victorian "framing," this depot has been moved to Route 47. Figure 91. 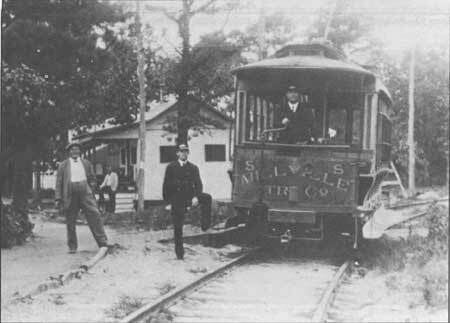 The Bridgeton & Co. trolley, shown here at the Union Lake Park stop, provided transportation to Cumberland County residents from ca. 1900-22 Wettstein, early 20th century. Figure 92. 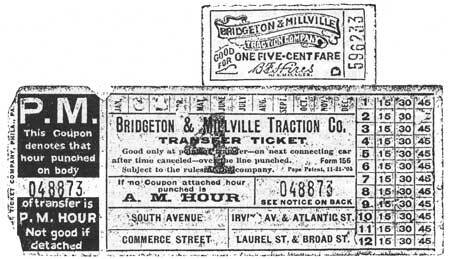 Bridgeville & Millville Traction Co. trolley tickets. Gehring.